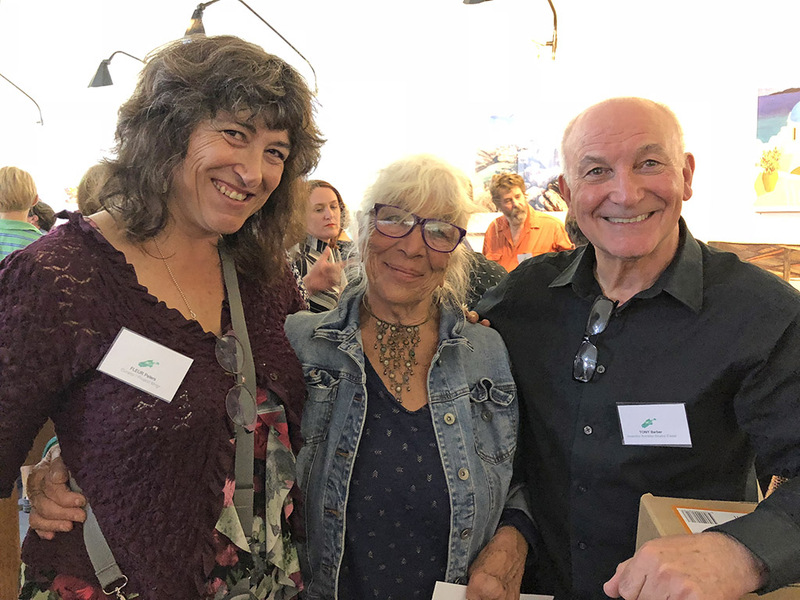 Michele’s long-standing connection with Kangaroo Island began when her and husband Michael bought their vineyard property near American River some years ago. A former GP, Michele gave up her medical practice to return to study, and is now in her final year of study at the Adelaide Central School of Art. Hailed as one of the most accomplished Printmakers in the country, Michele is a regular contributor to Kangaroo Island’s most iconic art show, having first won the Peter Walker Award back in 2015. The winning piece may raise no special interest when reading the exhibition catalogue – simply listed as The (en)titled space, Etching, hand coloured edition of 4. But it’s a sure bet even highly experienced exhibition Judges Leigh Robb and Tony Kearney were taken aback by this work on viewing. For a large proportion of the “hand colouring” in this work has been achieved by application of a most unusual painting medium – Whiteout. Michele painstakingly created the white spaces in this work with a substance more commonly used to erase things in the office. And therein lies the genius in The en(titled) space – the medium and technique themselves reinforce the inspiration behind the work. Perfectly aligned with the Exhibition theme “Watch This Space” – Michele has captured brilliantly the fragility of the Kangaroo Island environment, subtly highlighting the devastating ease with which parts of it may be erased. You can see The en(titled) space by Michele Lane, along with 180 other breathtaking artworks on display at the Kangaroo Island Easter Art Exhibition until April 8. Of course, it was a special night for Artristic as well. Co-founders of our company Tony Barber and wife Sue had travelled to Kangaroo Island from their Melbourne home to be present with our entire Australian team for the occasion.We were excited to have Tony here to present the inaugural Artristic Award for Ingenuity and Innovation, and to see the entry chosen by the Judges as the winner! 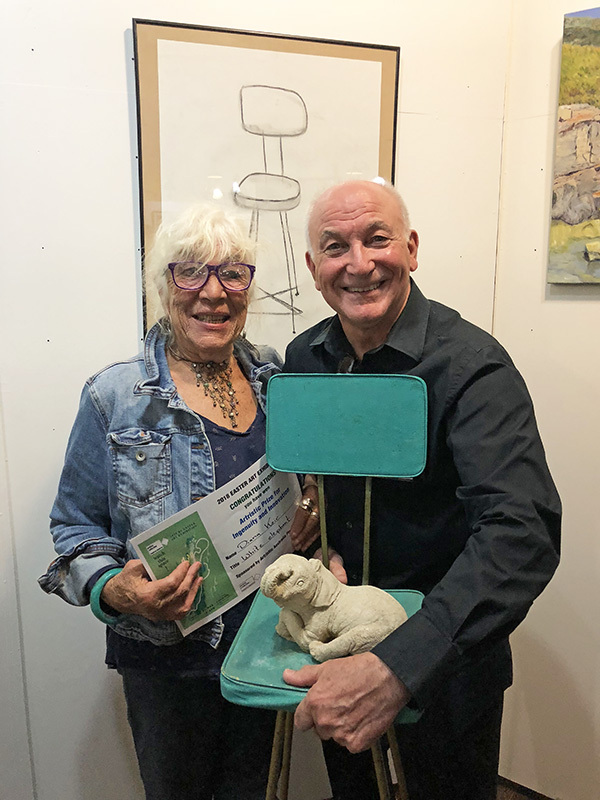 Diana Keir’s White elephant, listed in the exhibition catalogue as a work combining found objects and drawing captured the prize. we were particularly drawn to the whimsy and ideas, and the humour of Diana Keir’s White elephant. Diana’s prize is a brand new Artristic Studio Easel – yes, there’s an entire easel in the box you see Tony holding in the picture at the top of this post, and in the video below! Our team were so excited to be a part of Opening Night we decided to share it with the world, so our Operations Manager Lucy fired up Facebook Live and recorded proceedings on the spot! You can watch the video of the entire Awards ceremony below. You’ll also find all the details of the Award recipients after the video. Don’t have time to watch the entire video? We’ve captured the complete list of Award recipients below in the order they were presented at the event. Our entire team was seriously impressed by the standard of work on display at this year’s exhibition, and by the incredible effort of the KI Artists Collective organising committee in pulling it all together. Kudos also to curator Fleur Peters who gave so much of her time once again to help create a breathtaking visual Arts experience for everyone who walks through the door at the Penneshaw Town Hall in the coming week. 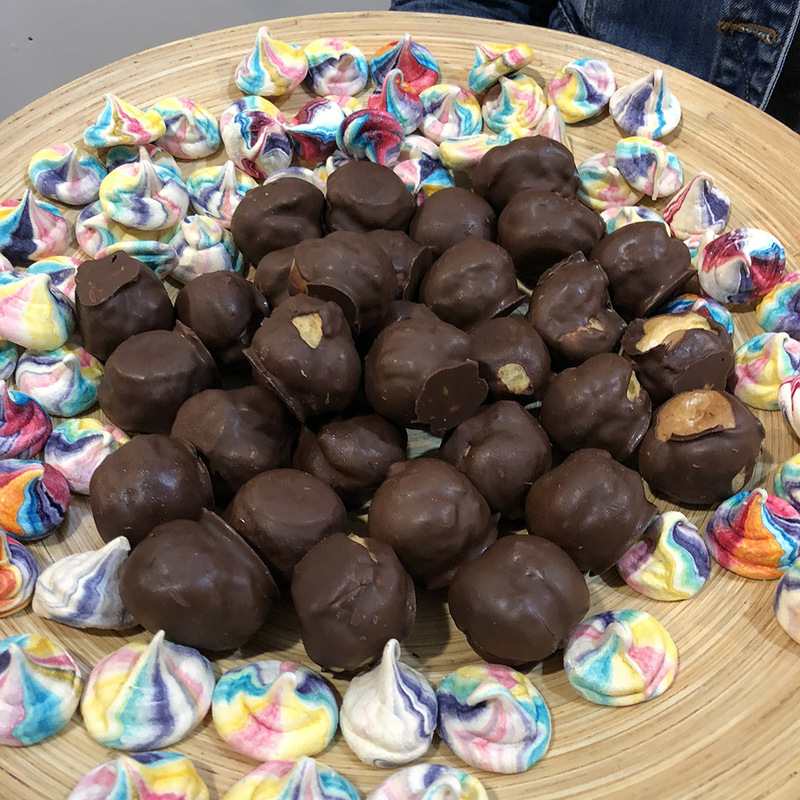 Even the sweet nibbles presented at the Exhibition had a touch of artistic flair! A wonderful effort by all the many volunteers who contributed to the long-awaited return of the event in 2018. Artristic Australia is proud to have played a small part in the Kangaroo Island Easter Art Exhibition. We would like to acknowledge all of the other sponsors who contributed and we look forward to a long association with this very special event into the future.